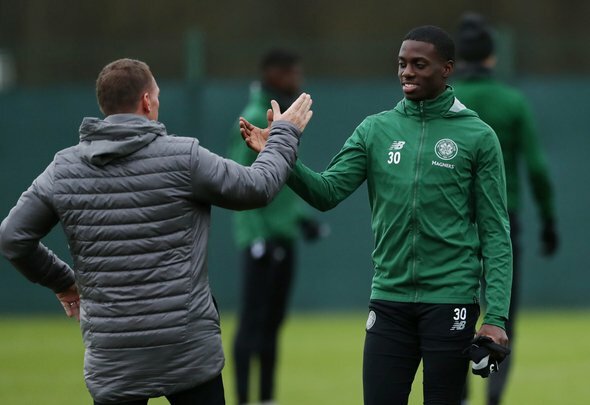 Bournemouth are in pursuit of Celtic loan star Timothy Weah, according to Sun reporter Alan Nixon. The reliable journalist claimed via his personal Twitter account on Sunday morning that the Premier League club is “very keen” on the 19-year-old forward, who is on loan at Celtic Park for the rest of the season from Paris Saint-Germain. Since joining the Bhoys on a temporary deal in the January transfer window, Weah has made 14 appearances in all competitions and scored four goals. Weah has done quite well for Celtic considering he has mainly been used as an impact substitute by the Scottish Premiership leaders. The USA international has scored some important goals for the Bhoys and it would be a good idea of Peter Lawwell to try and sign the forward on at least another loan deal in the summer. Weah is not getting too many changes to shine at PSG and he might consider leaving them, but only if he gets to join a team that is going to give him plenty of first team opportunities. Bournemouth are perhaps one of the best Premier League clubs he could join in that regard. Eddie Howe has done a great job with young players on the south coast and Weah will more than likely be in his first team plans due to his huge potential. Celtic might not have the financial might to match Bournemouth if it does come to a bidding war, but another loan spell at Parkhead before trying at a later date to break through at PSG could be an option for Weah.